The Museum of Contemporary Art San Diego‘s 40th annual benefit will make a thematic journey to Bollywood for a lavish evening of Indian cocktails, Hindu food and a Mumbai-inspired after party. The Monte Carlo: Bollywood gala takes place from 6:30 p.m. on Saturday, Sept. 10, to 1 a.m. on Sunday, Sept. 11, at the museum’s original location in La Jolla. The event moves from cocktails to a open-air, seaside dinner to an after party. Guests are encouraged to wear Saris and Nehru jackets and to experience the rich cultural vibrancy of the Bollywood movie scene of India. 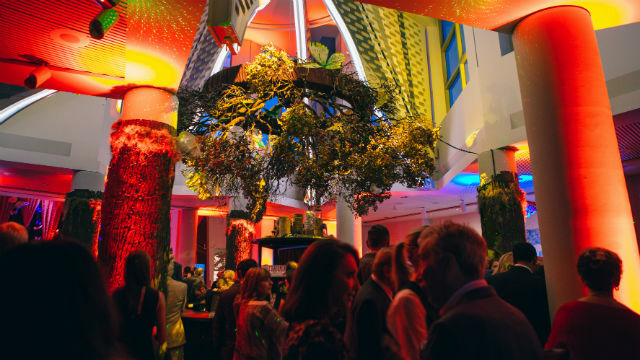 The gala is one of the most popular social events in the region, and serves as MCASD’s primary fundraiser, bringing in almost $5 million over the last 15 years for exhibitions and education programs. Tickets to the after party may be purchased separately for $100 each. Tickets for the entire event start at $650. The museum operates galleries in La Jolla and downtown and owns more than 4,700 works of art created since 1950.